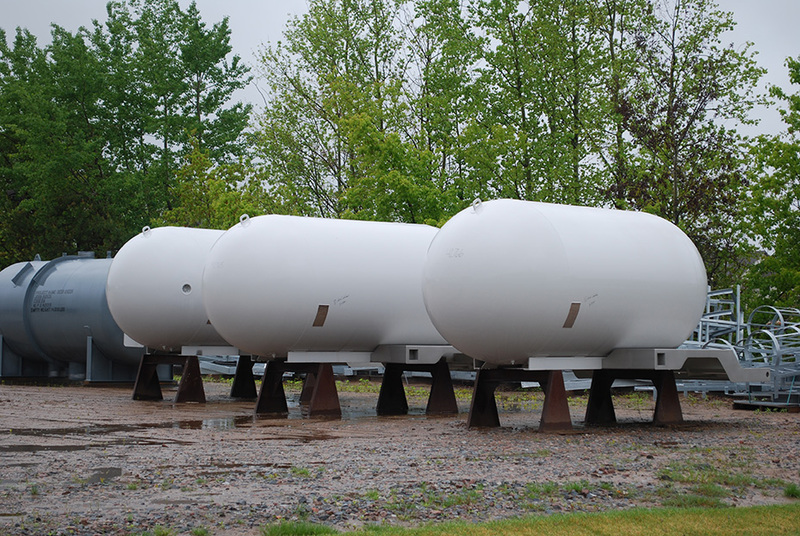 Standard features on our tanks and trucks include alot more than the physical attributes. they include our people and their contributions. Our on staff quality control personnel, design certifying engineer, registered inspector and office staff create and procure documentation, such as Form U1-A Data Report and Incomplete DOT Certificate of Compliance. A leadman supervises the fabrication process from beginning to end. This assures vessels are built to specification and in accordance with ASME and DOT MC-331 code requirements. Plate Steel for the shell is cut to size and openings are created by multi-axis torches on the CNC burn table according to specifications. Rollers are used to form the flat plate into shape of the vessel shell. Heads are fitted to the shell after all the couplings and internal piping is installed. Baffles, relief valve flanges, and other openings are welded in place as specified and once the shell is complete. Outlet flanges with beveled inside radius are manufactured by Arrow Tank and welded into the shell opening. Manway assemblies are machined and fabricated by personnel onsite and are then attached according to truck specifications. Vessel frame pads are attached to the shell as a buffer beween the framerails and the tank. All seams are 100% X-rayed to verify purity and structural integrity. 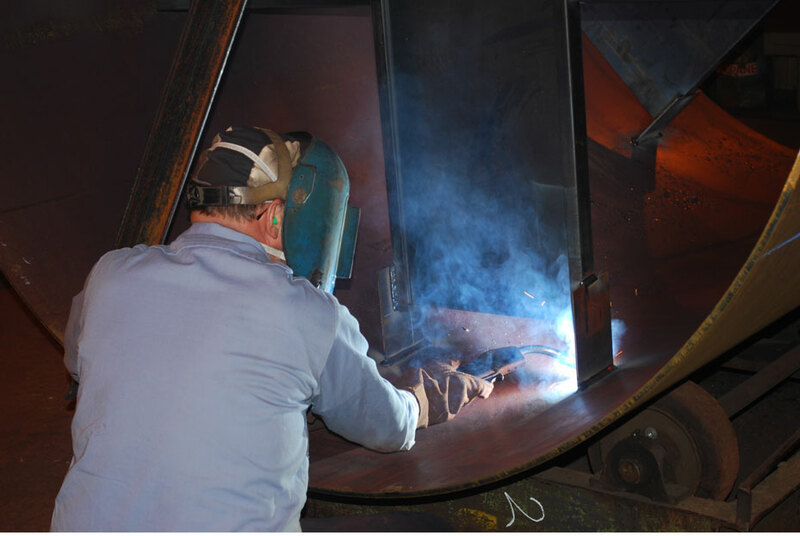 In the final stage, vessels undergo hydro-testing followed by internal inspection to complete the fabrication process. Vessels are available in a variety of finishes. Beginning with raw finish or choice of high performance primers and coatings supplied by companies such as DuPont, Diamond Vogel, Viking, Sherwin Williams, Valspar and PPG. Preparations for coating takes place in our on-site large grit blast booth. Primers and industrial coatings are applied in our 24’ x 83’ dedicated paint booth by means of electro static, air or airless application.